One of New Zealand’s lesser known flocks of feral sheep has been found on Woodstock Station, lying on the middle reaches of the Waimakariri River valley west of Oxford in Canterbury. The Station is immediately adjacent to the Oxford State Forest. During initial surveys of feral sheep in the 1970s they were considered to be of little significance and were among those tagged for eradication by the Department of Conservation. However, a more recent awareness of the potential genetic importance of feral flocks of early origin has resulted in a renewed interest in the Woodstock sheep. The flock is believed to have originated from an introduction of Merinos to the Station in the 1890s, a time when there was little fencing. Escapees were therefore easily able to establish themselves as a feral flock in the indigenous forest as well as the tussock grasslands. The present-day sheep have clean legs and faces and are disease and dag free. The rams are characteristically horned. Although basically white-woolled, one unique feature of the Woodstock sheep is the percentage of ‘badger-faced’ animals found among them. This is a primitive colour pattern not found in other feral flocks in New Zealand. 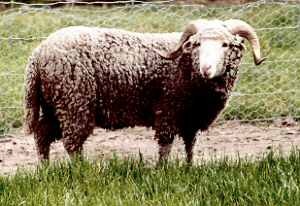 Although the Canterbury section of the Rare Breeds Conservation Society financed the recovery of a number of Woodstock sheep, their present status is unknown.